Although this month in Bali is the dry season, but the opportunity to keep the rice planting is done by the farmers. This month dry season will end in September. Although located in the dry season, but the availability of water is still there. So that farmers have enough water for rice planting in the dry season. Because in the current dry season, rains also occur with very dense. So that the water stays there and used by farmers for planting rice. Planting rice is the main occupation of the farmers. Because rice can be giving out a good income for farmers. Because the price of rice was never dropped, and the price is always going up all the time. Because rice is a major need for Indonesian citizens. Therefore, farmers prefer to plant rice, because rice prices are very stable, facilitate farmers in making their financial planning. Terraced rice fields for planting rice made ​​by farmers, so that all the land can be used for planting rice. 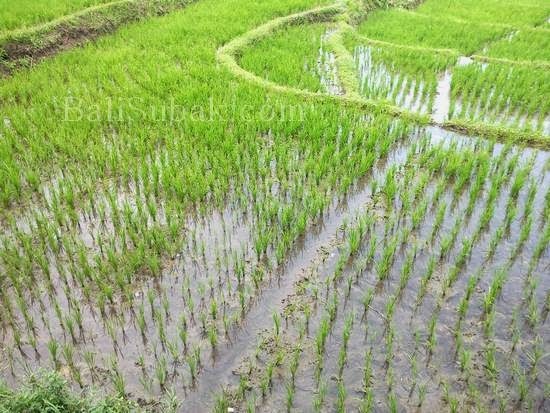 With a good calculation of the source of water for irrigation, the rice terraces and the calculation is made based on existing water conditions. Layman is very difficult to understand the techniques used to make rice terraces farmers. Because a good irrigation system must be taken into account properly. 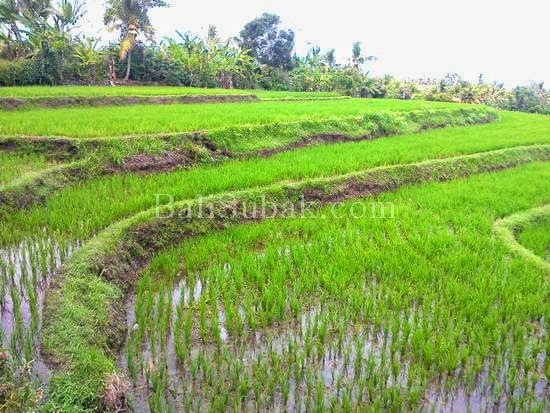 Irrigating rice fields in Bali are all set by a system that has been going on since hundreds of years ago. This system called Subak. 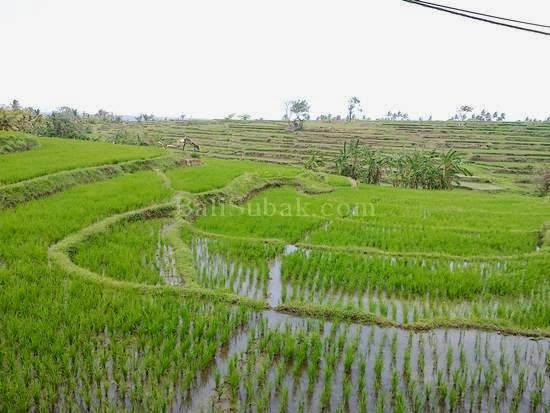 Subak is a traditional oraganisasi regulating water irrigation system for rice fields in Bali. This system is still active to this day. In fact, Subak has been recognized by UNESCO as world cultural heritage that must be maintained properly.